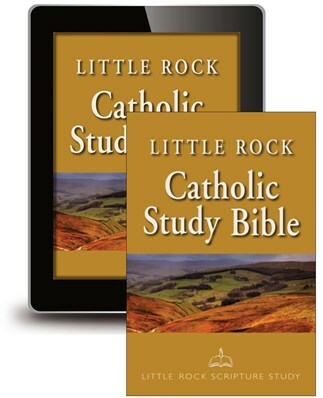 General Editor: Catherine Upchurch serves as the director of Little Rock Scripture Study. Her work in adult faith formation involves writing, editing, lecturing, leading retreats and days of reflection. She is the editor of A Year of Sundays and an associate editor of The Bible Today, a journal of biblical spirituality. Old Testament Editor: Irene Nowell, OSB, is a Benedictine of Mount St. Scholastica in Atchison, Kansas. She is an adjunct professor at St. John's University School of Theology, has published two books and numerous articles, and is a past president of the Catholic Biblical Association. She is also a member of the Committee on Illuminations and Texts for The Saint John's Bible. New Testament Editor: Ronald D. Witherup, PSS, is Superior General of the Sulpicians and lives in Paris, France. He holds a doctorate in biblical studies and is the author of numerous books and articles on Scripture. His current interest is in the letters of Saint Paul and the Acts of the Apostles.